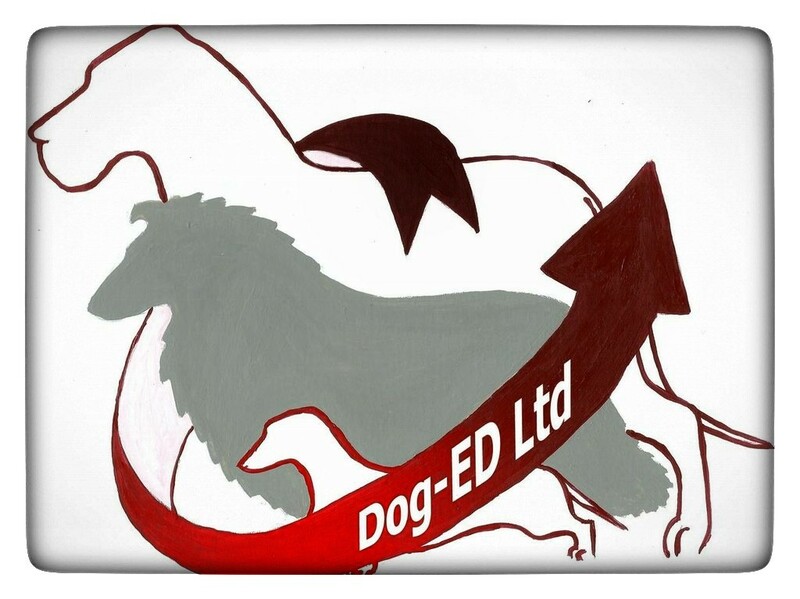 The breeding, ownership and welfare of dogs in the UK is a complex social area. Although there has been research into the size of the dog population, nobody has pulled all this together into a single model that everyone can use to help focus priority issues. As a consequence, different stakeholders have varying, and sometimes conflicting, views of how many dogs there are and their needs. Without a consensus understanding of the population and how it is stratified, it is difficult to propose meaningful welfare improvement policies. Earlier this year the RSPCA and Dog-ED worked with a group of Operational Research analysts from the Department for Environment and Climate Change (DECC) to review the literature and establish a baseline of data on the UK dog population. The DECC team did this for us as a pro bono project coordinated by the Operational Research Society, of which Ian Seath is a member. 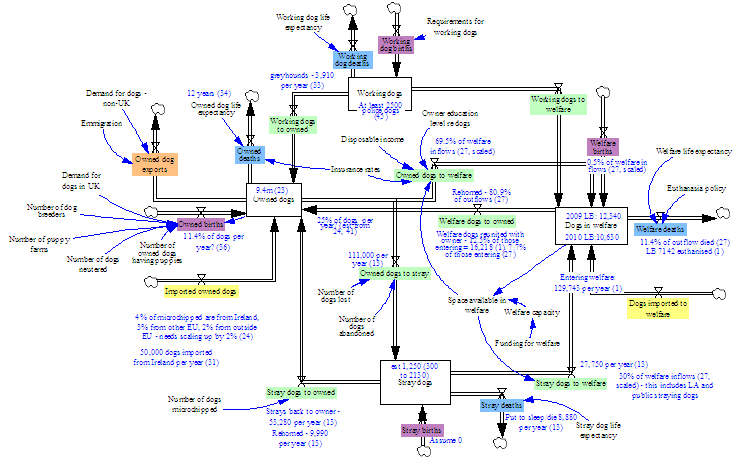 The project case study (download pdf) summarises the results of the literature survey and the challenges the DECC team faced when trying to build a population stocks and flows model (example below). The DECC team will be presenting a paper at this year’s OR Conference, based on this work. This entry was posted in Research, Systems Thinking, Welfare. Bookmark the permalink.